Four people are left injured after a bomb explosion on Manhattan’s subway platform. The bomb had prematurely exploded at 7:30am on Monday morning. 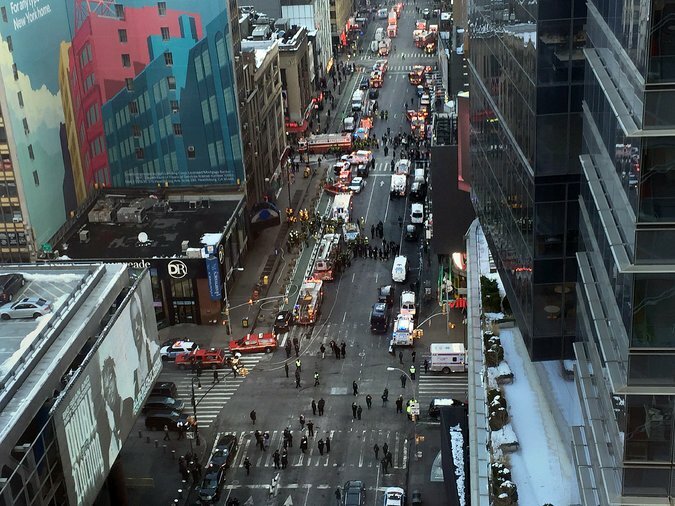 The blast was reported at 42nd street and 8th Avenue where then NYPD rushed to the scene. The bomb was intended for a subway carriage where it would have had catastrophically affected hundreds of individuals. The suspect was armed with a metal pipe bomb and battery packs as he walked through a midtown Manhattan transit hub according to sources speaking to the New York Post. The suspect has not yet been named but has been seriously injured in attacks. The suspect had apparently told officers that he has made the explosive device at the electrical company where he works, according to the New York Post. He is believed to be a 27 year old Bangladeshi national who has been a residence of the United States for seven years. The police and the fire department are currently at the scene investigating the incident which occurred early Monday morning. The latest update following the situation is that New York police commissioner Bill Bratton made a statement claiming that the attack was inspired by Isil, a Jihadist militant group. It has been clear that the four victims in the premature bomb explosion have survived without any life threatening injuries.